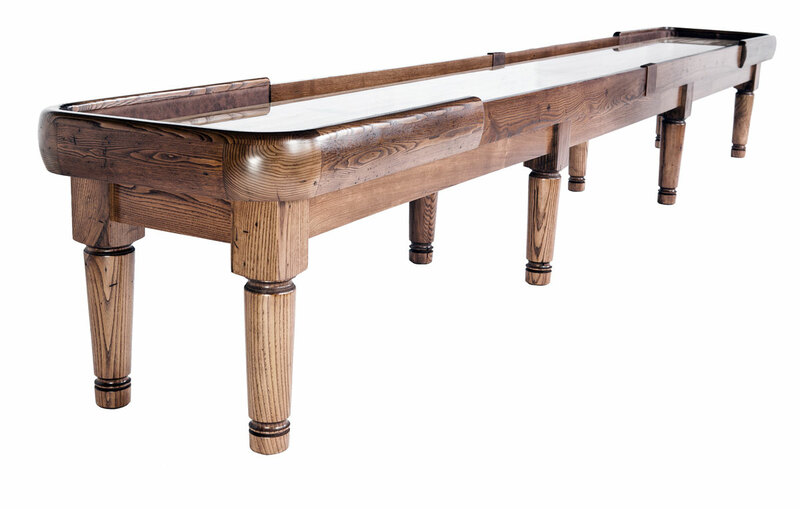 If you have questions about any of our Custom Made Heirloom Shuffleboard Tables, including information about inside delivery and installation options, please call 866-561-8667 to speak directly to Company Founder, John McDermott. 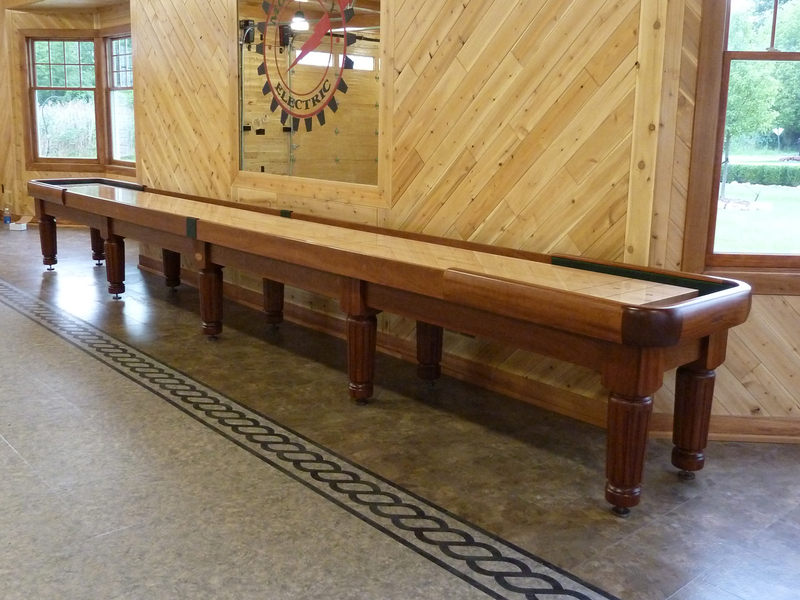 Since 1987, John has helped thousands of people in all fifty states and abroad make an informed decision on the once in a lifetime purchase of a Shuffleboard Table. 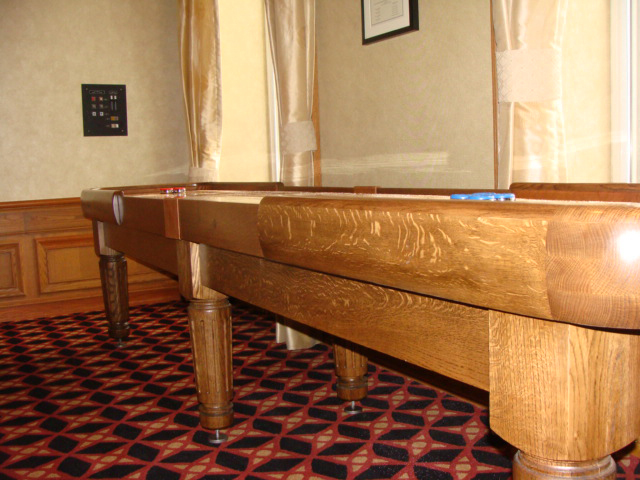 Let him put his expertise to work for you. 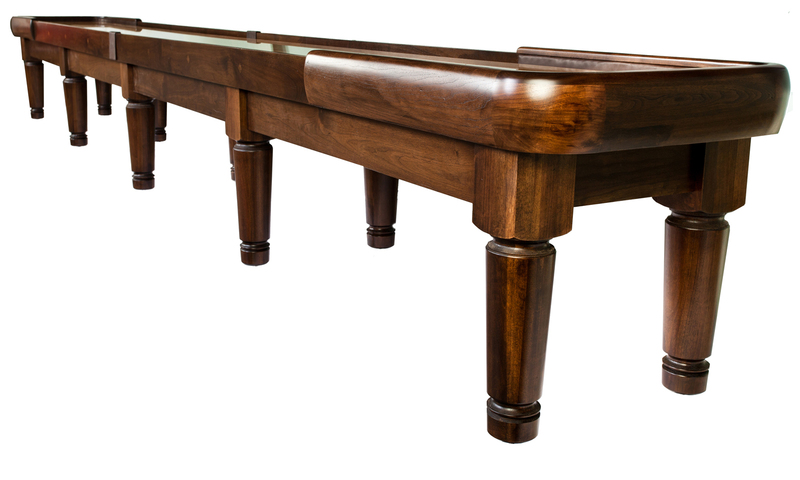 If you're looking for hand-crafted, old world style shuffleboard tables, you'll delight in the authenticity and opulence offered by the stately Heirloom Manchester Shuffleboard Table. 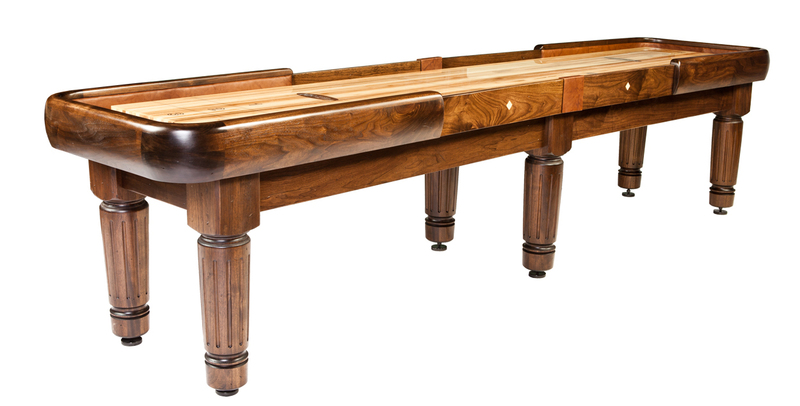 This handsome, high-quality table draws inspiration from classic designs found in 18th century shuffleboard tables used by British royalty. 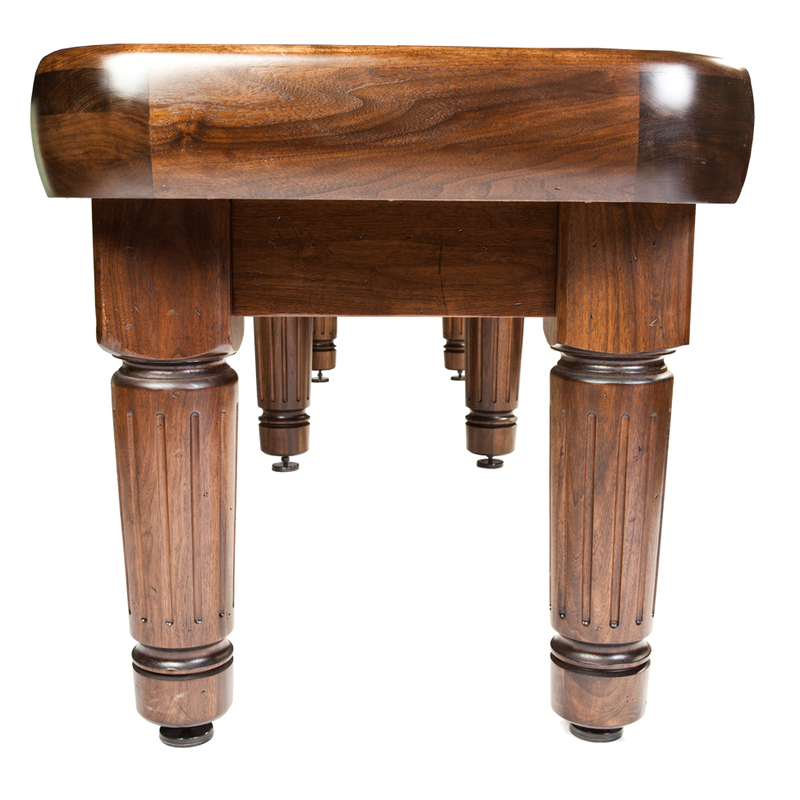 It's dripping with rich accents, like turned legs and inlaid accents. Guaranteed to be the focal point of your game room.